As part of the LAAAMP Colloquium Programme, Dr Thierry d’Almeida (Senior Research Scientist at CEA, Commissariat à l’Energie Atomique) delivered a series of talks in Cotonou, Benin in the period 2-5 May 2018. 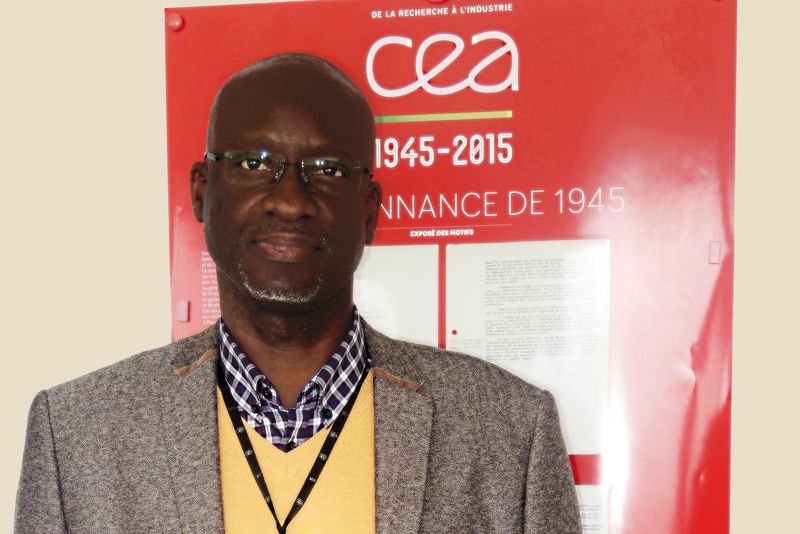 Dr Thierry d'Almeida is a physicist and a long-time synchrotron user, native of Benin. He has worked at the Institute for Shock Physics, Pullman-Washington, USA (1998-1999); European Synchrotron Research Facility (ESRF), Grenoble, France (1999-2007); Cavendish Laboratory, Cambridge, UK (2007-2010); Commissariat à l’Energie Atomique (CEA), Gramat, France (since 2010). His fields of expertise include: Material science, Solid state physics, High Energy Density Physics, Ultra-Fast Hydrodynamics, Instrumentation and analysis techniques within large experimental facilities, including synchrotrons and High Pulsed Power (HPP) drivers. During his visit to Benin in May 2018, Dr Thierry d'Almeida gave a series of lectures that describe advanced light sources, the various beamline techniques that are available, and his own research endeavors. In addition, he met with university and governmental officials, as well as secondary students and teachers to educate all and stress the importance of a multinational African advanced light source. Local organization has been coordinated by Prof. Jean-Pierre Ezin, Ancien-Directeur Fondateur de l'Institut de Mathematiques et de Sciences Physiques (IMSP) et Ancien Commissaire de l'Union Africaine, and Prof. Guy Degla, Enseignant-Chercheur à l'IMSP. Dr Thierry d'Almeida's colloquium programme was associated with a workshop on crystal symmetry, currently under preparation (organizers: Marielle Agbahoungbata and Etienne Sagbo). The LAAAMP project: a unique opportunity for Africa to catch up!